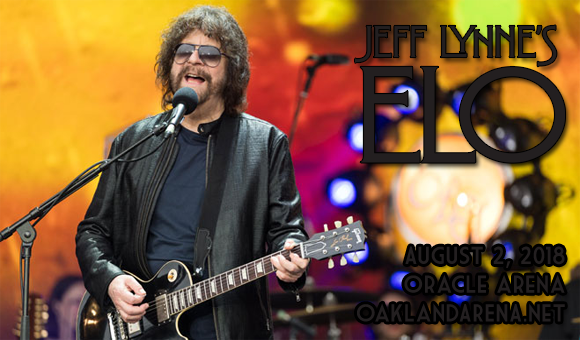 Jeff Lynne's Electric Light Orchestra are coming to Oracle Arena on Thursday 2nd August 2018! After performing at the Grammay Awards in 2015, playing the Pyramid Stage at Glastonbury Festival in 2016 and being inducted into the Rock and Roll Hall of Fame in 2017, who knows what 2018 has in store for the band – make sure you catch them live! Formed in 1970 in Birmingham, England, rock band ELO originally comprised of songwriters and multi-instrumentalists Roy Wood and Jeff Lynne, alongside drummer Bev Bevan. Upon Wood's departure in 1972, Lynne took on the role of band leader, and went on to write the majority of the band's original material and arrange and produce their albums. The band released multiple top ten albums and singles throughout the 1970s and 1980s, with two of their LPs reaching the top of the UK charts. From 1972 to 1986, ELO had twenty Top 20 songs on the UK Singles Chart, as well as fifteen Top 20 songs on the US Billboard Hot 100. Wood, Lynne, Bevan, and Tandy were inducted into the Rock and Roll Hall of Fame as ELO in 2017.